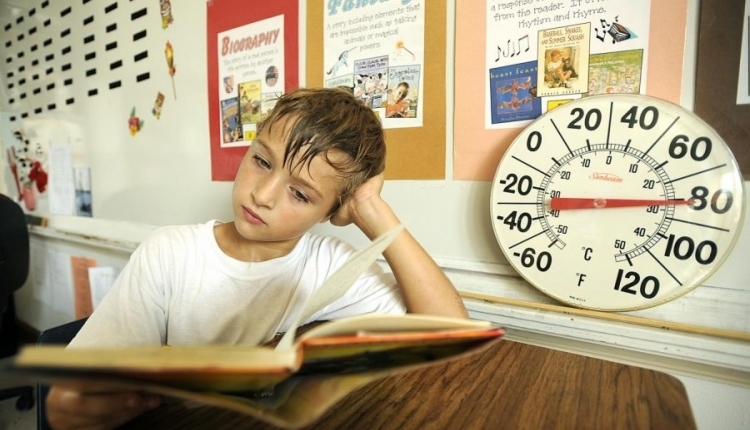 When kids are placed in rooms with no a/c in the Florida heat, they can't learn. It places their focus on things that they should not be focused on, and creates conditions that are impossible to learn in. When we are in portables or classrooms with no a/c we are only focused on one thing: getting out of the heat and into the cool of our next class. As a Harvard study said, "The data showed that students were more likely to have lower scores in years with higher temperatures and better results in cooler years." This is proof that kids can not focus and perform to their best ability in these harsh environments. There is no point of even going to class in these conditions, and that's why we believe that students shouldn't be forced to struggle and face these conditions, but that they should be able to go an air conditioned classroom to do their learning. By signing this petition, you will be supporting the bill that students should always have to be in an air conditioned classroom, because if they aren't then they are unable to focus and do their work. Not to mention that they are forced to go to school and therefore forced to go in a steamy classroom, which is not right. So let the students learn, and not suffer in the humid florida heat in these non air conditioned classrooms. The No a/c, no learning petition to OCPS School Board was written by Conor Lynch and is in the category Students' Rights at GoPetition.